FREE I Love You To The Moon And Back Crystal Necklace! Down From $70! You are here: Home / Great Deals / FREE I Love You To The Moon And Back Crystal Necklace! Down From $70! 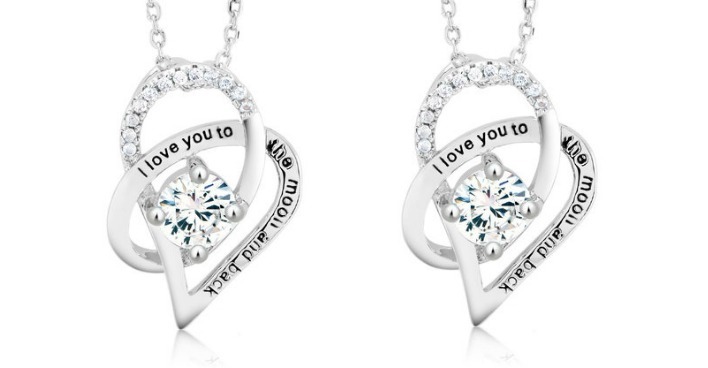 Tanga has this I Love You To The Moon And Back Crystal Necklace for FREE (Reg. $70) today only! Shipping is only $4.99, which still makes this necklace a great gift idea of any special occasion!